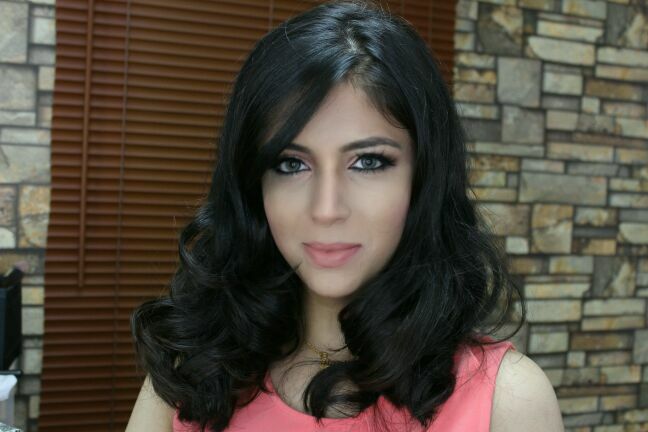 I am a Dubai based Makeup Artist, who started my career in makeup back in 2012. Sometime in late 2011 my love for makeup reached heights solely based on watching YouTube videos and hence SuperMakeupish was born. SuperMakeupish is a platform started by me that helps women realize that makeup is not that difficult after all. After starting my own YouTube channel, I decided to take makeup as a career and ended up doing a certified makeup course. Soon after, I started my blog in 2013. After that there has been no looking back. My blog aims at reaching as many women as I can through DIY’s, product review and tutorials. I firmly believe that makeup is all about loving yourselves and embracing your inner beauty. I do makeup for print, videos, events and even personal portfolios but fashion makeup has always been my favorite as there are no bounds to how creative I can be and colors just flow. I spend most of my free time doing research online and trying new looks for my videos or for any new projects that I have planned.